First of all, Fabiano tell us a bit about ES Logistics. 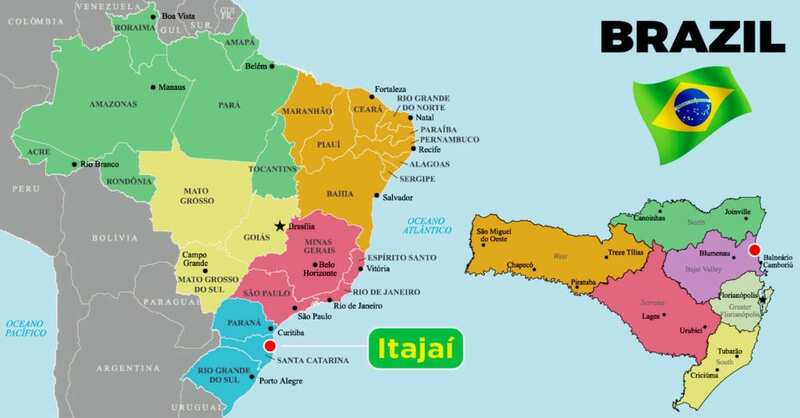 When was the company established, who owns it and why did you establish your head office in Itajai? ES Logistics is a family-owned company established in 2001. Our head office is in the south of Brazil in Itajai which today is at the center of the second largest inbound and outbound sea freight market in Brazil after Santos. Our objective has always been to be very strong in the South of Brazil which is the region with the second largest GDP of the country after Sao Paulo. What is the main business focus in your company? Our focus is the customized management of sea freight and airfreight to our qualified customers. We have always had a passion for customer service and our clients look out for our tailor-made solutions. We are also focused on sales and today most of our business is still generated by our own sales efforts. We have a solid portfolio of both inbound and outbound business, in particular, sea freight. Moments before unloading cargo from one of the six Antonov 124’s that ES Logistics handled in 2017 to Brazil. Many companies have complained for years about the difficulties dealing with Brazilian customs and that each province has their own rules. Can you tell us a bit more about this, how does it work now, have customs rules been streamlined and is the system more efficient now? What rule of thumb can you give our readers to be careful with when shipping to Brazil? Brazil still has many countries within its own. I mean, each province (there are 27 in Brazil) may have its own rules that will affect for example taxes, customs regulations, road permits etc… However, nowadays some provinces evolved to world-class standards in terms of efficiency. This autonomy of each of province ends up helping importers and exporters because they can choose their routes based on efficiency. The rule of thumb for overseas companies is still always checked with local experts particularly when deliveries require bonded transport and OOG permits. Operations at sunset at the Port of Navegantes in the South of Brazil. Today the Southern region of Brazil is the second largest sea freight market in Brazil after Santos. The region offers many options for OOG cargo operations. Tell us about the main ports of Brazil, which are the main ports used for handling project and oversized cargoes these days? We are specialized in the Southern Brazilian ports. There are many options among these for oversized cargoes. For example, Paranagua is well prepared for all sorts of OOG cargo and has a high-efficiency level in terms of customs clearance as I mentioned before. There are many other alternatives which will meet different needs from ro-ro terminals to bulk cargo. Do you need a license to become a freight forwarder in Brazil? Yes, you do need a license, but again depending on the region in Brazil business practices can change. For example, in some Brazilian ports, the importer doesn’t need to present the original Bill of Lading to release its cargo from customs. Even for locals like us, we have to take precautions to work in certain areas of our country where there are these kinds of liability risks. Can you Provide us with some examples of project cargoes that you have handled recently and that you are particularly proud of having executed? Last year we handled a door-to-door project from Scandinavia to Brazil that required six Antonovs 124’s. We were in charge of all steps of the project from planning and outsourcing to execution of pre-carriage, airfreight and bonded transfer at the destination. In total, more than 300 people from 4 different countries helped us to make this happen. We are very proud of having met our customer’s deadlines on this project. How and when did you start your career in freight forwarding Fabiano? I started in 1997 first as branch manager of UTi in the city of Curitiba in the South of Brazil. At that point, my father and brother held the same positions in two other UTi branches. Later we took over ES Logistics where we have been up to today. We are very proud of having created a reputation for high-quality services in the market. Today our company is present in 4 Brazilian provinces with 7 branches. We belong to WCA and joined CLC Projects last year. We are impressed with the level of interaction among CLC Projects members. This is indeed a very active network and we are pleased to be part of it. How to get in touch with ES Logistics for further information?